LOOK YOU GUYS IT'S A SLIDE SHOW! WHO IS THE PLAB FOR? Anyone interested in Play and Creativity via the lens of Performance. Participants include Performers, Directors, Playwrights, Composers, Designers, Producers, Dancers, Choreographers, Actors, Musicians, Puppeteers, Poets, Writers, Dreamers, Activists and Artists. The perfect way to get your PLAB on this Fall! PLAB POP-UPs are just like they sound like they would be: a sudden onset of PLAY popping up out of nowhere just when you and/or your creativity is in need of a pick-me-up. PLAB POP-UPs are the antidote to ennui, the best kept secret sauce and the feel good funtime workout you’ve been craving. The PLAB POP-UP strikes when you least expect it, like really cold ice cream suddenly on your sensitive tooth (it’s a good ow because: ice cream) or the fast rip off of a band-aid (to see if the wound has healed). PLAB POP-UPs are just what you need to transition from Summer to Fall, from outside to inside, from cupcakes to pie, from al fresco to fireside, from crop tops to cardigans and from there to here. Trust us. They come when you least expect it and you're gonna want to be there when it happens. PLAB POP-UPs are open to anyone! Please RSVP to Katie, PLABORATORY Artistic Associate, at KatieAtIFCAP@gmail.com. CURIOUS WHAT HAPPENS IN THE PLAB? All 2016 PLAB Sessions are chronicled on our blog, www.ifcapwonderblog.tumblr.com. Read testimonials from PLAB members discussing the PLAB. 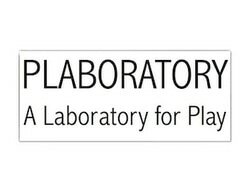 In February of 2016, IFCAP launched the PLABORATORY, a Laboratory for Play. This inaugural year consisted of monthly meetings, exploratory composition making, improvisational singing, paper manipulation and two guest facilitators. The PLABORATORY is comprised of a committed, curiously engaged group of select artists who meet on a regular basis throughout the year to explore, discover and play together. It's like a regular gym of fun-making that is serious artist development but is also fun, with all the things that come with playing for fun full-out: heartache, muscle cramps, appetite, wonder, celebration, pleasure, beauty, triumph, etc. Each session involves accessing and exercising our play muscles via group and individual exercises and composition assignments. There is playing and making! Thinking and doing! HAHAHA and OH! Please email Katie at KatieAtIFCAP@gmail.com for more information about the PLABORATORY.